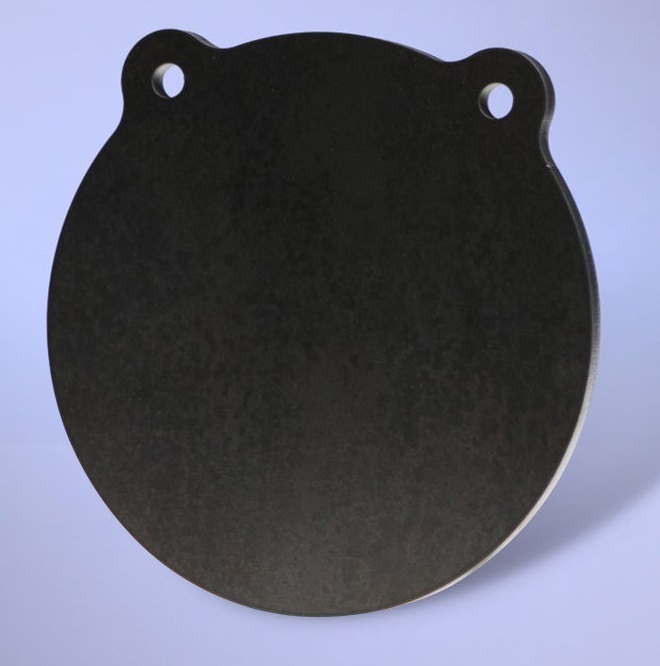 These 1/2” thick AR500 steel targets are made to withstand the most rugged use. Applications include ranges, clubs, law enforcement and whenever magnum caliber rifles are being used. They have been CNC laser cut to yield a minimal heat affected zone. Do not confuse these with cheaper plasma cut targets. Targets include 0.6” mounting holes to accept larger mounting hardware. If you have any questions give us a call at (800)355-2956. Full wrap around eye protection is required by the shooter and any spectators in the area.